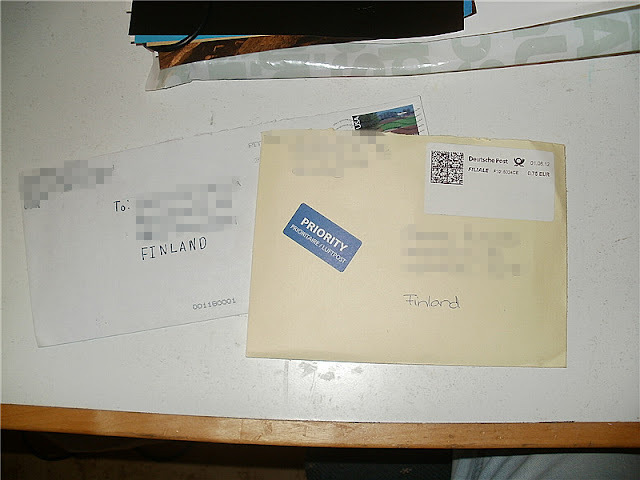 These arrived at the beginning of August. From Katy from U.S.A and from Corinna from Germany. 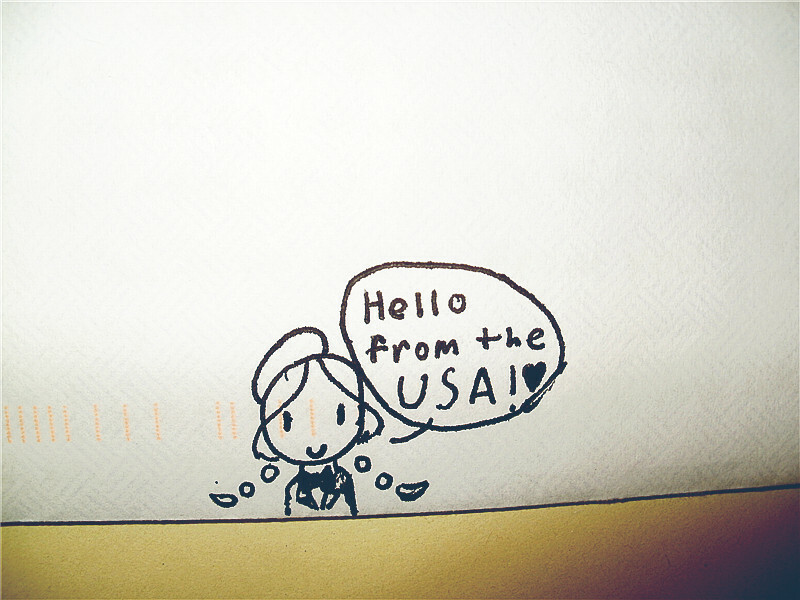 It was first time ever to receive post from Germany and I was so happy :) The letter came to me because I joined "Send a Letter to Receive Letter" -swap. 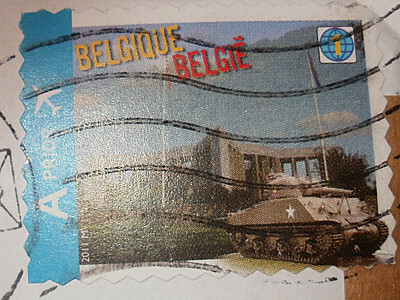 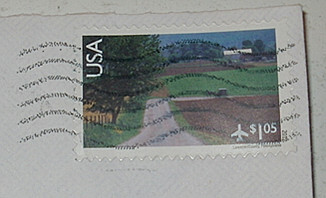 That stamp was on an envelope that arrived from The States, but the stamp says "Belgique" I suppose it means Belgium? 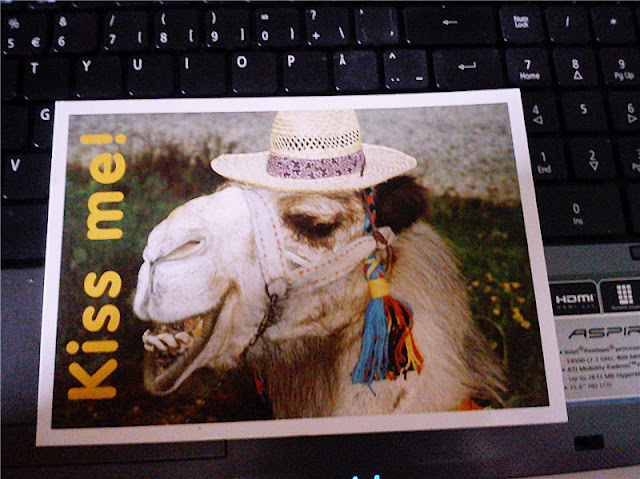 And this the card I sent to Germany because of Postcrossing.